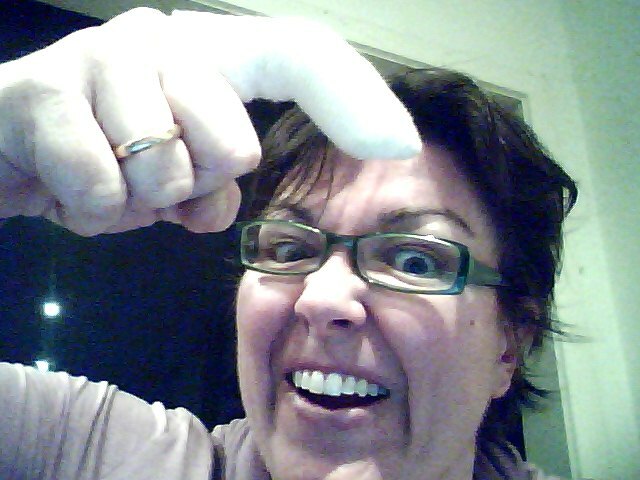 Behold: Mummy has an owie. 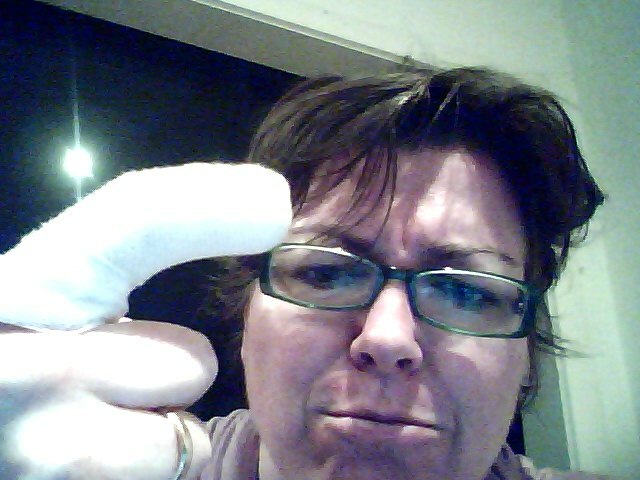 The nurse at our GP bandaged it today and was aghast I hadn’t gone to the hospital when I did it last night. I was like, dude, I wasn’t even going to come to the GP with it except I have this ankle issue. So much blood. SO PAINFUL. Mummy went a little woozy. I’m feeling a little fragile tonight. Stuff with Felix, failed DIY projects, fights with family members, moving the house from one end of the house to the other. Then the ankle, the thumb and now the finger. And the tetanus shot. The doctor is concerned about the ankle. It is ‘highly unusual’ for bruising with such an injury to go up the leg. I’m really hoping this doesn’t fall into the ‘highly unusual’ category that we were in when Oscar’s pregnancy went to hell in a handbasket. I have to have an ultrasound to check I don’t have a blood clot. 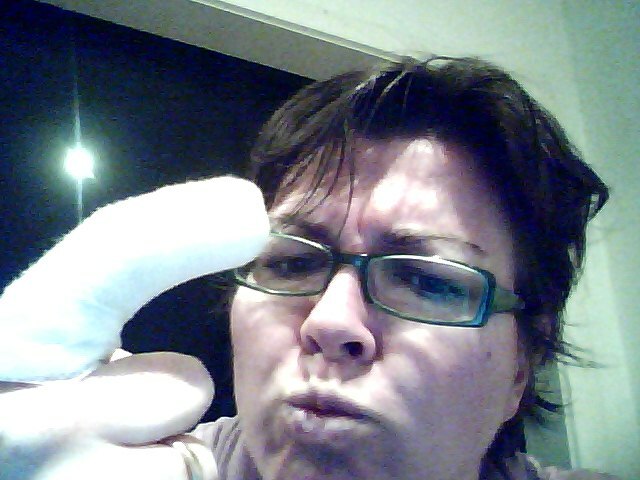 I have to get it x-rayed to check I haven’t cracked/chipped the bone. This was meant to happen this afternoon, but I was (FINALLY) meeting someone – M, a friend – who I met on Twitter, then discovered we were also connected through K and now have a total girl crush on. We were meeting on the other side of town. I kind of TOTALLY forgot about getting back for the x-ray and scan. I had this weird thought in my head to keep an eye on the time but would then dismiss it because Chef was home and had it all in hand. Then, 15 minutes before I was meant to be there I remembered. WHOOPS. Now I’m meant to be going tomorrow afternoon at 3.15 but K has a surprise trip to Sydney with my god-daughter in tow and I am their designated driver for the day. AND we’re hooking up with M in the morning. Tomorrow is like getting smacked in the head with a big fat rainbow for me and there’s no way I’m missing it or diluting it with stupid scans and the like.